Hall of the Mountain King: Stuck in my Head: Jorn, "Ride Like the Wind"
Who could have guessed that a Christopher Cross song would have so much traction in the metal world? This is at least the third heavy cover of the song that I’m aware of. British metal icons Saxon recorded it in 1988, and the extra-vowel-loving thrash act Speeed, featuring members of Annihilator and Seven Witches, remade it in 1999. 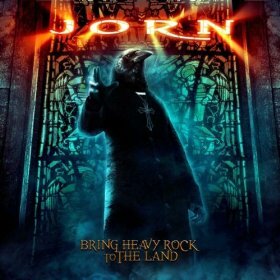 Of the three, this cut from Jorn’s recent Frontiers Records release, Bring Heavy Rock to the Land, is also my favorite. Norwegian wailer Jorn Lande is, in my opinion, one of the top hard rock vocalists out there today. He mixes the best elements of big voices like Ronnie James Dio and David Coverdale for a bold, powerful and classic delivery. That voice brings some much-needed power to the song. To me, a good cover should remind listeners of the original, but add something that makes it unique to the current artist. I don’t usually like covers that mimic the original note-for-note or ones that make the song completely unrecognizable. You’re very rarely going to match the original, so there’s no point in by-the-numbers, and there’s a reason you decided to cover the song in the first place, so it seems weird to mutilate it. Jorn’s version of “Ride Like the Wind” catches that balance perfectly. That main guitar riff is still there, but beefed up with some tasty metallic chops. The earworm chorus melody of the original is retained, though Lande’s delivery is far more aggressive and in your face than Cross ever thought about being. The da-da-da-dah-dah-dah-dahs on the chorus are dropped – hard to be metal singing those – but they’re not missed. Jorn’s version gives the song a tough, outlaw-biker sort of spirit and makes it something that any metalhead would happily crank up with the windows down on the car stereo. Not so much the case with Cross’ version, no matter how catchy it was. The cover is just one song on a solid new album of classic hard rock by Jorn. 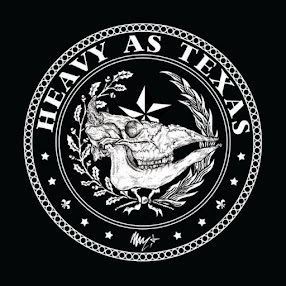 If you’re a fan of 1970s and ’80s rock and metal and aren’t familiar with Jorn, you should take the time to check him out, and Bring Heavy Rock to the Land is as good a place to start as any.